The Dallas Cowboys extended their winning streak to three on Thanksgiving, giving their home fans plenty to be thankful for with the direction of this team. This streak began in Philadelphia, where the 3-5 Cowboys were supposed to see their season end prematurely at the hands of the defending Super Bowl champions. This young Cowboys team has grown up a lot since, following their win at the Eagles with an equally impressive one at the Falcons and culminating their first two victories away from AT&T Stadium on Thursday afternoon. Defeating the Washington Redskins 31-23, the Cowboys separated from the division leaders in the second half to reclaim first place in the NFC East. Winning without Left Tackle Tyron Smith or Tight End Geoff Swaim is a sign of significant progress for a Cowboys offense that managed just 73 rushing yards in a previous loss at the Redskins. 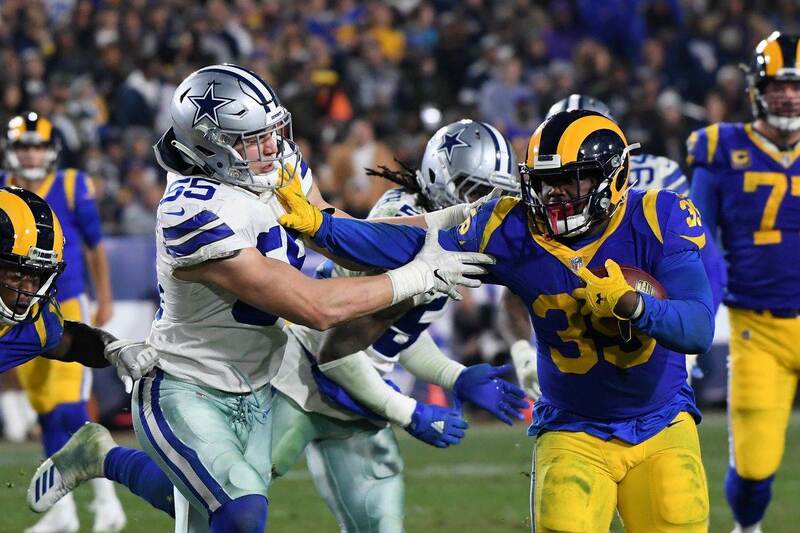 As has been the case through the Cowboys turn of fortune, Running Back Ezekiel Elliott was phenomenal, rumbling for another 121 yards and a touchdown. The Cowboys missed opportunities in the first half to leverage their defense and put the game away early, instead relying on both Elliott and Wide Receiver Amari Cooper to make plays throughout. When the Cowboys best players came to play, which Cooper did with touchdown receptions of 40 and 90 yards in the third quarter, this team made a terrific case for the best in a division that remains wide open. The Cowboys will have a normal week to prepare for the 10-1 New Orleans Saints, playing again on Thursday Night Football in week 13. Here first are my notes on their short-week performance that got the best of the Redskins. Lost in the excitement of his long touchdowns are the four other receptions from Amari Cooper that kept Cowboys drives alive on third down. The Cowboys very first drive of the game provided their best showing from Cooper and Elliott playing in sync. Three plays after Cooper beat Josh Norman on third down, Elliott rolled to the end zone from 16 yards out. 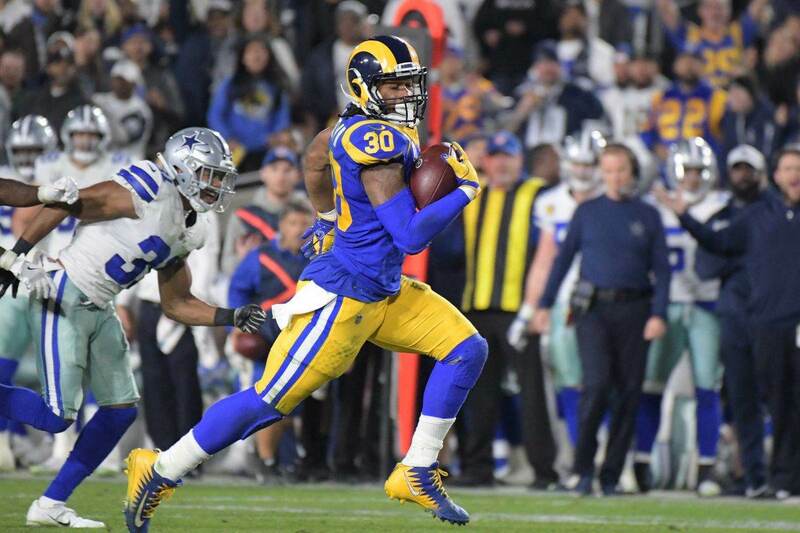 Showing off his outstanding patience, Elliott was hardly touched on what instantly became his longest run against Washington this season, giving the Cowboys a 7-0 lead. Cooper's connection with his quarterback was evident on these third down completions as well, which should excite the Cowboys beyond what Elliott's provided on the ground. Throwing with anticipation and trust in Cooper to track the football, Dak Prescott is quickly learning how to use his new target. Although this great timing throw to Cooper only led to a Cowboys field goal, Prescott made up for it on both touchdown passes. The spark Cooper provided in the passing game made Prescott's miss of Noah Brown on first and goal (followed by a second down sack) an afterthought from the win. Plays like Cooper's 40-yard dash on a simple slant pattern are the perfect example of why he's in Dallas, saved from the Oakland Raiders. It's been a long time since a Cowboys receiver could punish a cornerback that slips in coverage quite like Cooper did to match the Redskins go-ahead touchdown. Not only is Cooper creating the type of separation that the Cowboys lacked to sustain any offense, but his run after the catch ability has completely changed the tone of Scott Linehan's offense. The next logical step for Linehan and the Cowboys is to better utilize Cooper in addition to the run game in the red zone, something the Cowboys must figure out if they're to emerge as division favorites. When Dak Prescott wasn't perfect with his arm, he was able to run decisively to create a touchdown and another first down on a field goal drive. Prescott's third and goal scramble for a touchdown was the best possible outcome from another red zone possession that looked certain to end without seven points. The complexion of this game changed entirely when Prescott refused to go down running to his left, eluding two tackles behind the line to find a running lane. 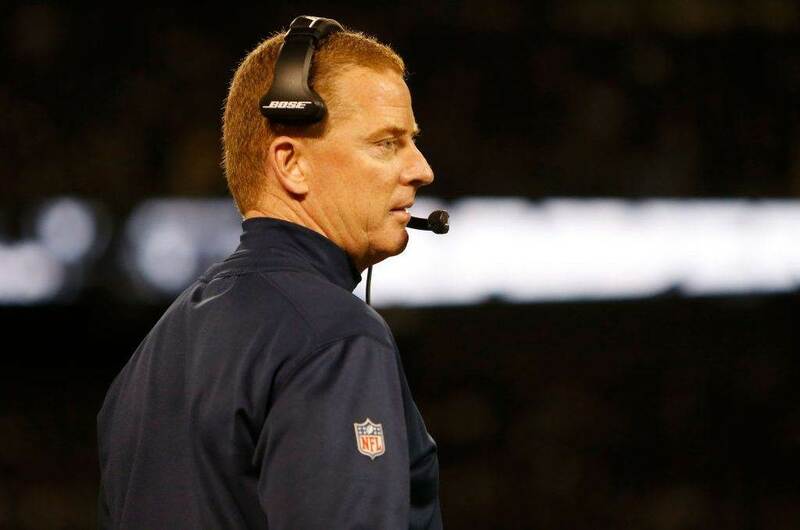 The Cowboys were driving on a short field off a DeMarcus Lawrence interception. Asking any more of their defense in a game that would have the Cowboys up only 14 with a field goal could have led to a much different outcome. On Dak's designed runs, Tight End Blake Jarwin was able to play with power and leverage out in space to create some key blocks. 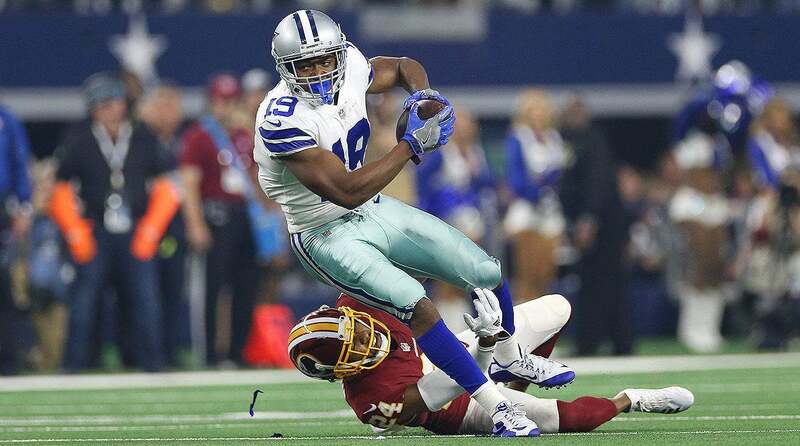 Jarwin has not earned the role in the Cowboys offense he seemed destined for in the preseason. Proving himself as a blocker will be the best way for him to change this very quickly. With Prescott converting the touchdown himself, the Cowboys jumped ahead 31-13. This 18 point lead wouldn't last long, as the Redskins needed just six plays to answer with a touchdown of their own. This assured the Cowboys defense would be needed until the final whistle, forcing one more turnover when Xavier Woods caught a deflected ball from Chidobe Awuzie. The Cowboys kept their annual Thanksgiving game entertaining enough to cover the end of dinner and most of dessert, coming out at 6-5 and learning a lot about the makeup of this team. Last year, a win without Tyron Smith and Travis Frederick was unthinkable, proven in Atlanta where the Cowboys added to this ongoing win streak in week 11. Prescott was sacked four times in the first half against the Redskins, but Marc Colombo's makeshift line protected him perfectly through the second half. On a day made for coming together, the Cowboys did just that in a big way, handing out the game ball to rookie Wide Receiver Michael Gallup. Gallup received news of his brother's suicide following the Cowboys win over the Falcons, remaining in Georgia with his family after the game before returning to Dallas and playing in this contest. Where the Cowboys can go from here will be determined by their performance against a top NFC/Super Bowl contender in the Saints. The Cowboys have done just enough to make this game against the Saints less of a "must-win" scenario, but should still be out to prove with each passing week they belong in the same conversation as the Saints, Rams, and Bears atop the conference. Tell us what you think about "Sean’s Scout: Cowboys Thankful for Cooper in Division Win Over Redskins" in the comments below. You can also email me at Sean.Martin@InsideTheStar.com, or Tweet to me at @SeanMartinNFL!